The Keweenaw Chamber of Commerce is pleased to offer Keweenaw Cash: a gift certificate program that can be used at more than 300 Chamber member businesses. Since its launch, the Keweenaw Chamber of Commerce has issued over $341,000 worth of Keweenaw Cash. That money goes right back into local businesses! Keweenaw Cash can be purchased in any denomination, allowing the recipient more flexibility and enabling them to use the certificates at numerous businesses. In addition to making great gifts, businesses can purchase Keweenaw Cash as bonuses, prizes, at fundraising events, as employee incentives or awards, retirement gifts, to mark a milestone, or as part of a welcome package for new hires. Certificates come with an envelope and a list of all the participating businesses. Please note we require at least a 24 hour notice when placing orders. We are not responsible for any lost or stolen certificates. 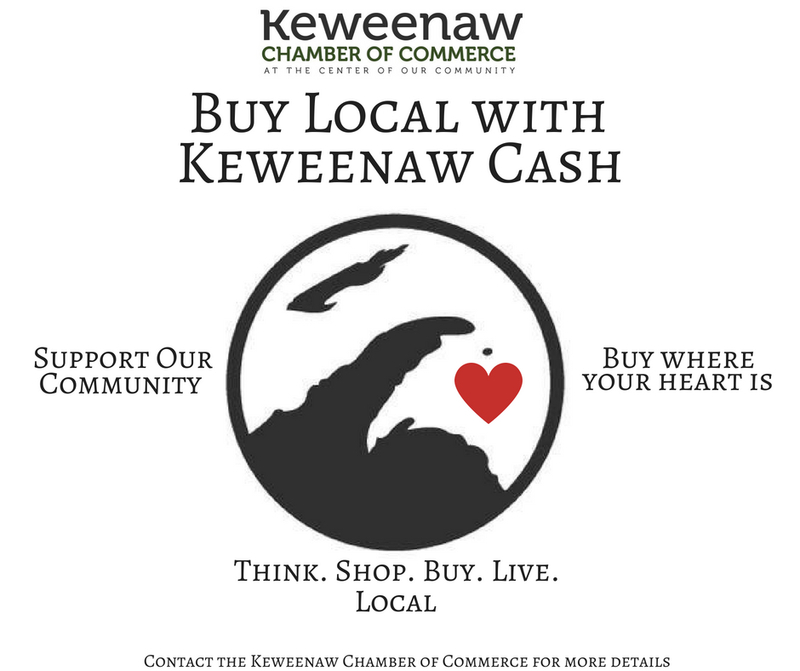 If you are a business and would be interested in being able to redeem Keweenaw Cash, please look into a becoming a member with the Keweenaw Chamber of Commerce.